Ruben Ortiz Jr. is a Transitional Specialist and Social Media Manager, who is also an activist educating and helping others transition out of high-control groups. 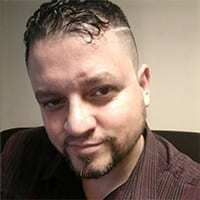 Before starting as the Social Media Manager for The Open Minds Foundation, Ruben Ortiz spent thirteen years working as a Career Transition Manager for Job Corps covering the states of New York and New Jersey. His team helped at-risk youth transition from their residential life on the Job Corps campus to their lives outside of Job Corps, placing them in jobs, helping them find opportunities to further their education, and helping them with other needs.